Last winter, I was contacted by the amazing musician and Choir Director, Mimi Jans. She was beginning to plan her spring program, and had an idea for a collaboration. Mimi asked me to write a poem about birth, that she would then compose a piece of music to, for her newly acquired high school choir. This was especially exciting for many reasons, one of which being, Mimi’s choir is located in Basel, Switzerland. The idea of a whole choir of Swiss adolescents, singing a strange and creepy song about birth, makes me so happy! I sent mimi a few poems to sift through, and luckily she picked the weirdest one!! Since I have never given birth, i tried to re-imagine what it was like being born. This is a recording from their 2011 Spring Concert. 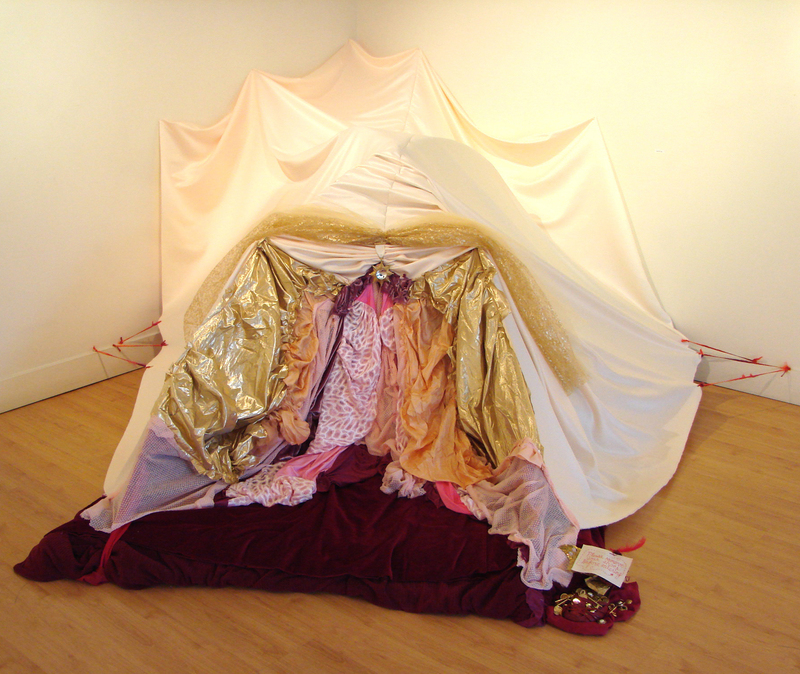 A few months later, the incredible visual artist/performer/designer, Rachel Znerold, asked me to compose a piece of poetry for an installation she was making for a Womb themed show. Her piece, Womb With a View, an interactive, Womb Tent, became the home for this sound piece. the slick patience of gravity. of mother skin and air. The first sound is pink breath. Rushing in to meet the body. This is not the mystery of home. Where’s the nest of silk stones?